A judge's verdict is awaited in the legal battle to overturn a planning inspector's decision to approve proposals for a test drilling well in Rotherham. The community group Harthill Against Fracking (HAF) have brought the challenge against the Secretary of State for Housing, Communities and Local Government over a decision of the Planning Inspectorate last year. The case relates to the oil and gas exploration and production business, INEOS, submitting an updated travel plan before the public inquiry where it was successful in obtaining planning permission. HAF say that because of the late evidence and their outstanding request for an adjournment, which was not decided upon until the first day of the hearing, they did not know the full case they had to meet until the inquiry had started. Consequently, they were unable to adduce evidence or make submissions, informed by an expert, in relation to opposing INEOS' case. 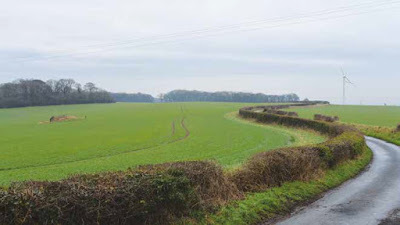 In Leeds last week, HAF asked the court to consider whether, in refusing their request to adjourn the planning inquiry so that they could consider new highways material which emerged just before the inquiry was due to start, the planning inspector acted in breach of the rules of natural justice. Les Barlow, co-chairman of HAF, said: "Fracking is a divisive issue across the country and it is crucial that local communities are properly involved in decisions relating to fracking which could affect their natural surroundings. We believe that our voice was diminished in this process due to the inspector’s refusal to adjourn the inquiry so that we could properly consider the late evidence which was submitted by INEOS." Anna Dews, solicitor at law firm Leigh Day, added: "Our client believes the planning inspector's decision was wrong in law because, by allowing INEOS to adduce late evidence and refuse our client's subsequent application for an adjournment, the inspector acted in breach of the rules of natural justice. "We hope that the High Court will agree with our client's arguments and quash the decision, allowing for a fresh inquiry in which all parties can properly consider all the information available and fully participate."